There is only way place to go these days if you’re looking for unrelenting, mind-numbing idiocy on television. The Fox News morning show, Fox and Friends, isn’t Donald Trump’s favorite for nothing. It features a cast of “Curvy Couch” potatoes who seem to enjoy presenting themselves as unabashed morons. And naturally, their guest line up is just as feeble-minded as they (and their audience) are. For the record, every poll on the subject shows that the American people believe that Trump worked with Russia to help him get elected. They also overwhelmingly support Mueller’s investigation and want it to continue. These survey results were even affirmed by a poll conducted by Fox News. Bongino doesn’t bother to disclose the polling data he allegedly has, but it’s ironic that he’s making these ridiculous claims on the network whose own poll contradicts him. Finally, Bongino is obviously too dense to grasp that his bitching about Schiff is an assault on logic. He’s complaining that Schiff wrote an article that argues against focusing on impeaching Trump, which is an opinion that Bongino shares. 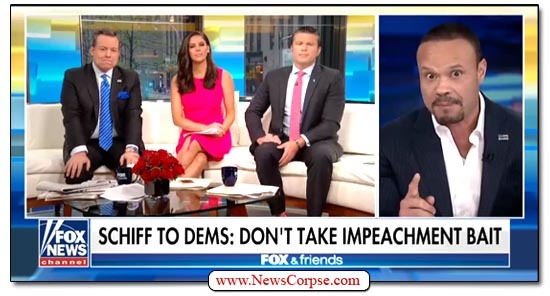 So does Bongino think that Schiff should have written an article advocating impeachment instead? Perhaps then Bongino would not be calling Schiff a fraud, but he would certainly be condemning him for advocating impeachment. Bongino really needs to make up his mind. But you would need to have one that’s functioning to do so. 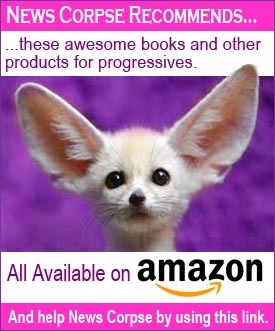 On the plus side, by lacking critical thinking skills and having a rabid animosity toward all things Democratic, Bongino has secured himself a safe spot on Fox News for many years to come. 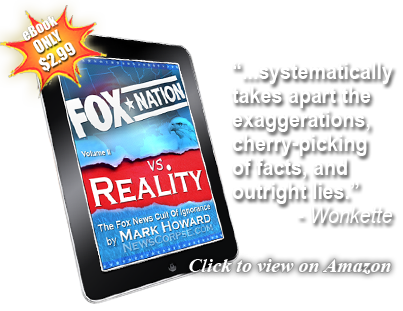 And he’ll fit right in with Fox’s hosts and guests who share similar mental defects and biases. Anyone that can say that the Russia collusion story is a hoax would have to have access to the investigation while completely ignoring the mountain of evidence and false testimony.